IT WAS the event which brought the Bundaberg region's cane growers together for a rare night out. The 2018 Bundaberg Cane Industry Awards Dinner recognised the hard work of the growers in the area, and some of the year's top performers. 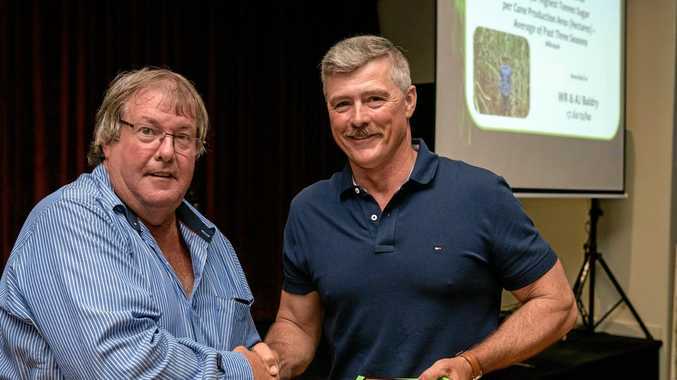 One of those was Wayne Baldry who took out the Award for Highest Tonnes of Sugar per Cane Production Area (ha) - Average of the Past Three Seasons in Millaquin and the 2018 District Champion award for the second time. "The industry is certainly in a difficult situation at the moment, but it's nice to have a nice night out as opposed to battling irrigation,” he said. "It is difficult, and you can ask any farmer in any industry and they'll say the same, but at the moment it's a bit more difficult because of the season we've had. Josh Killer took out the young industry achiever award for the 2018 season.